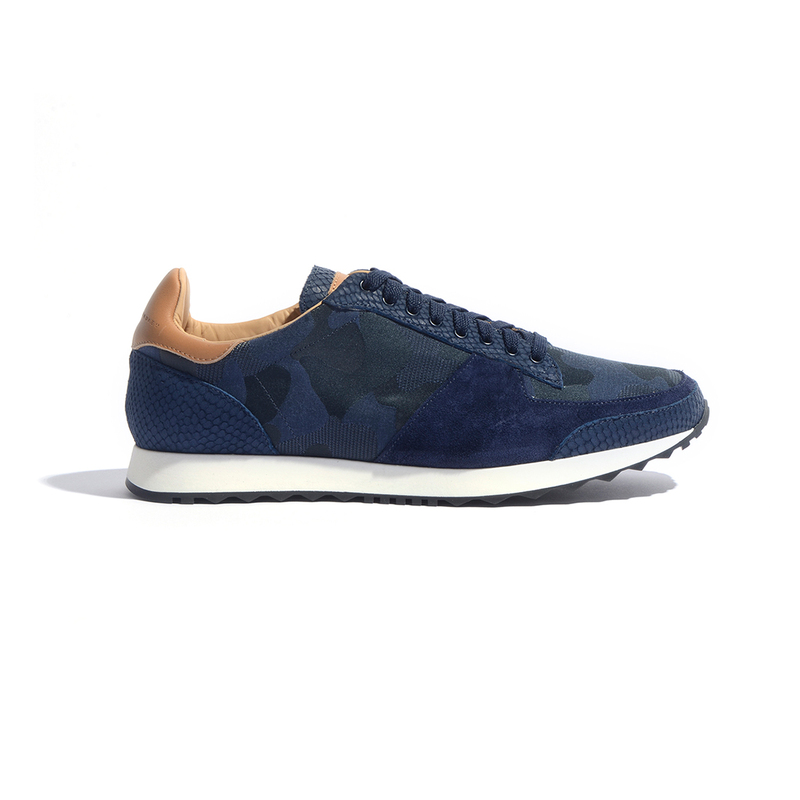 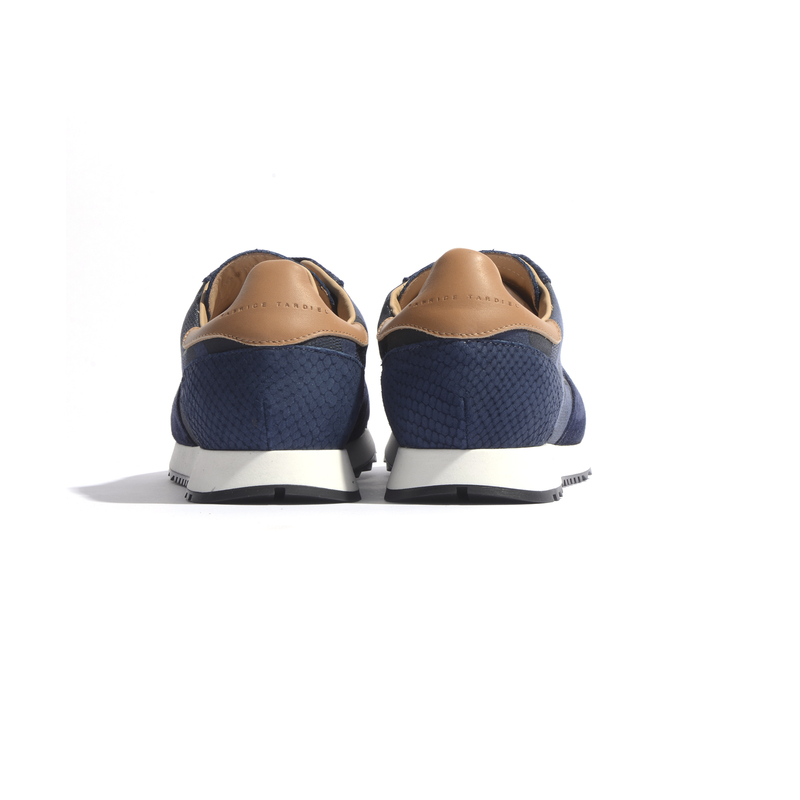 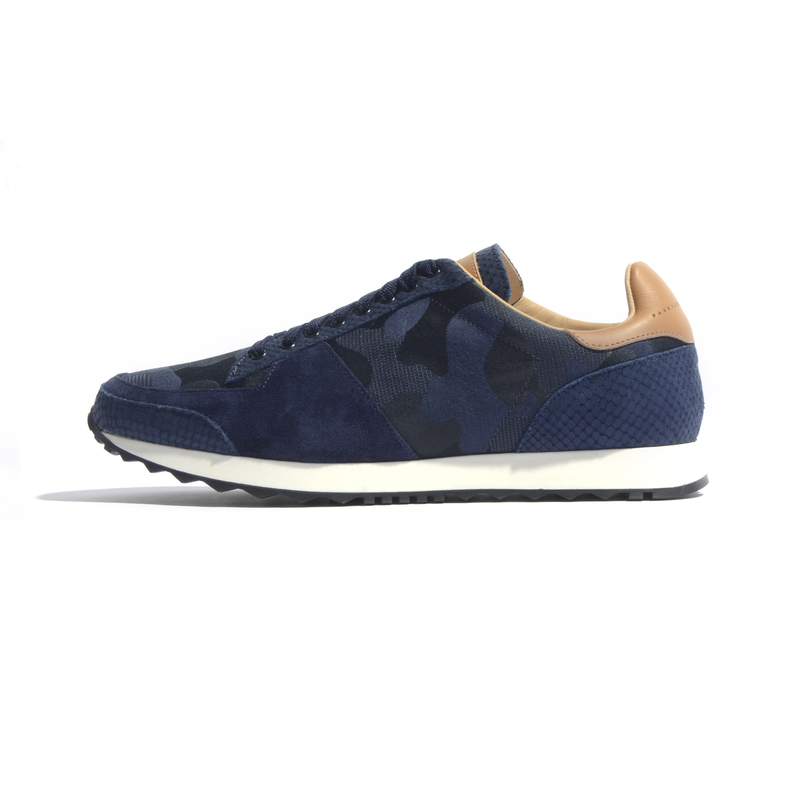 The Women's Tri Runner Navy on Navy Ustica Combat is a spin-off of our most popular & signature line of athleisure sneakers. 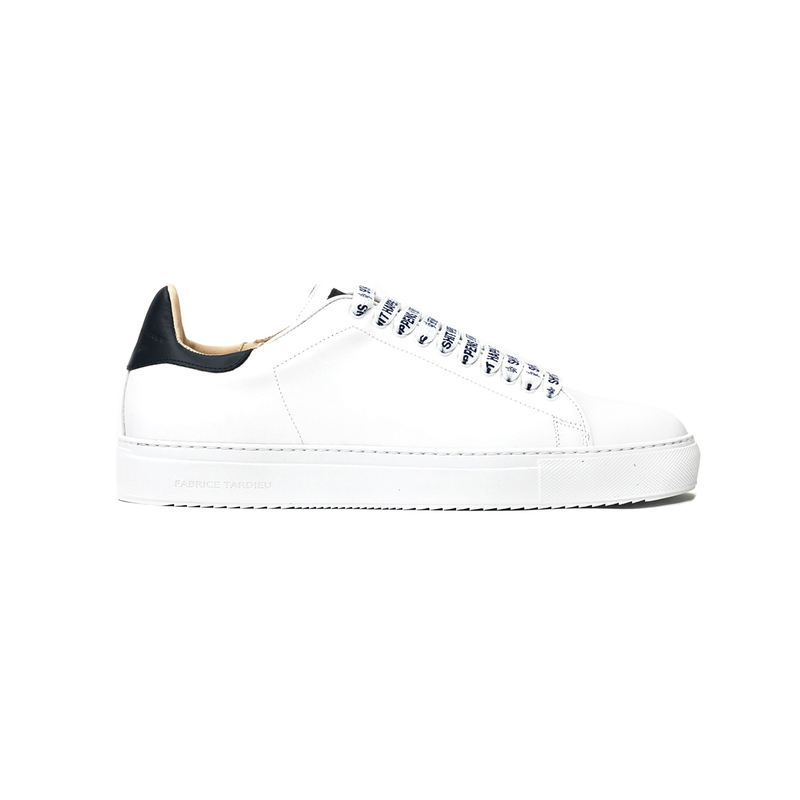 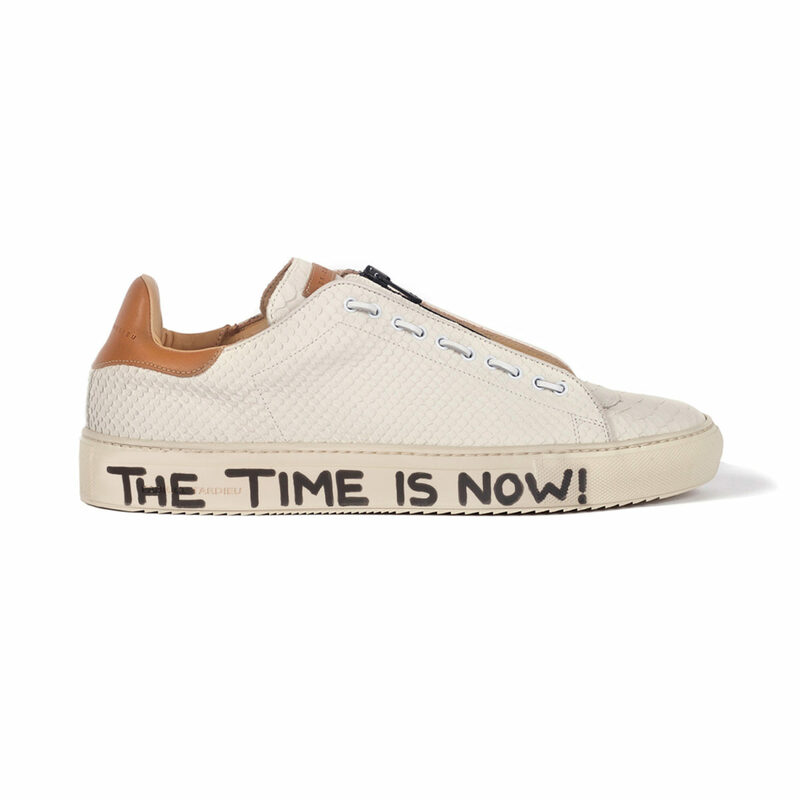 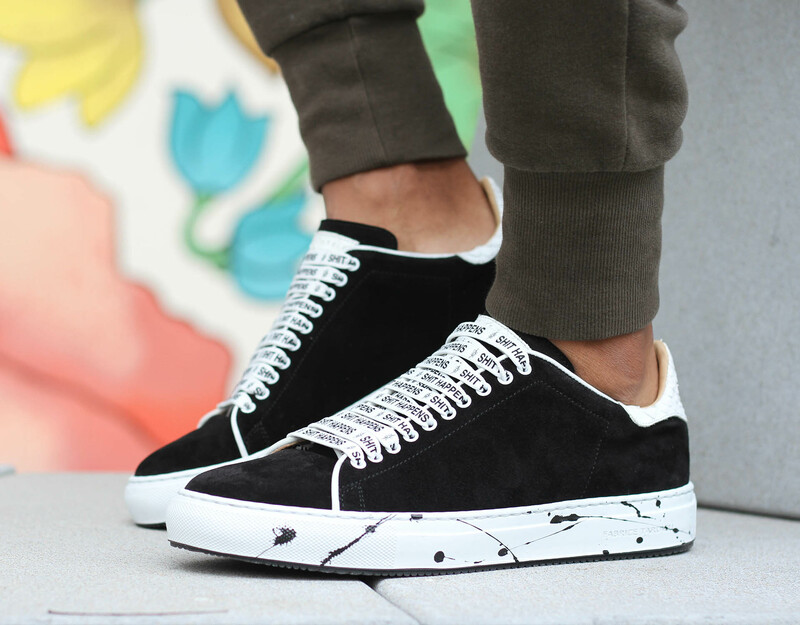 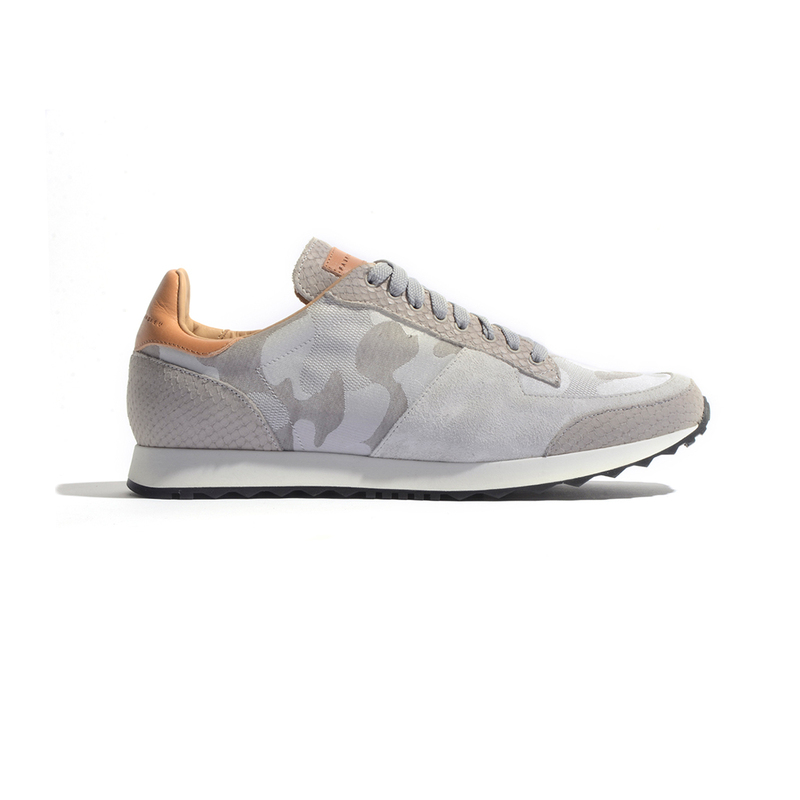 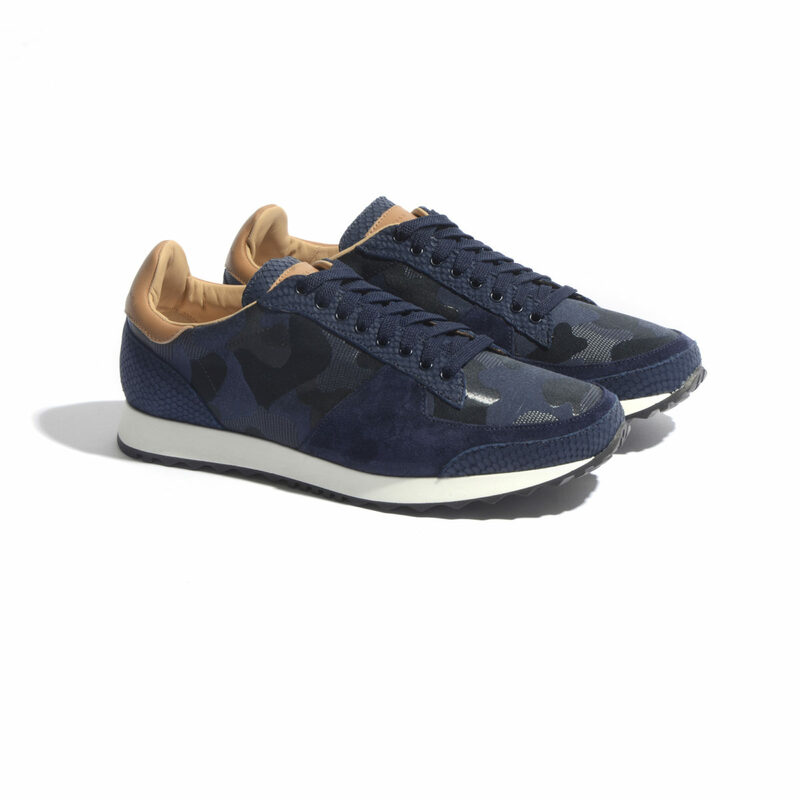 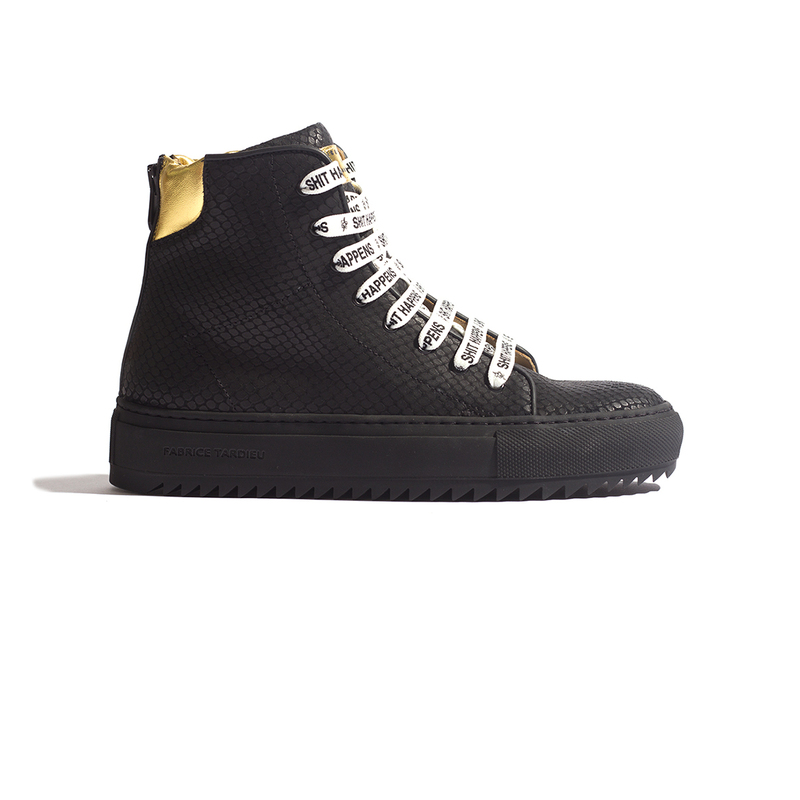 Made with embossed Italian leather, suede and canvas — these "triple-threat" camouflage sneakers are designed with style, comfort and luxury in mind. 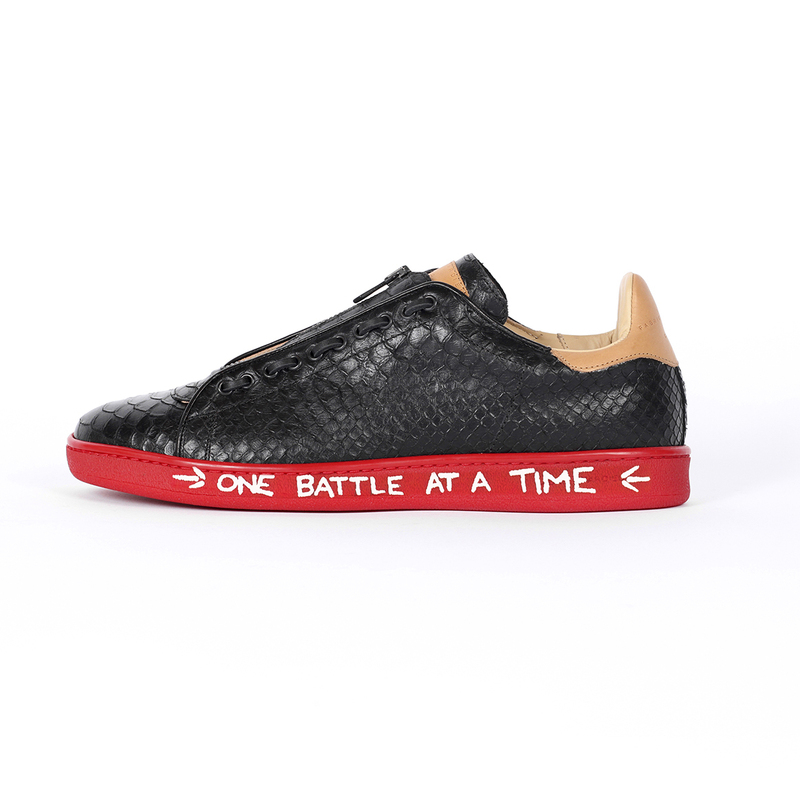 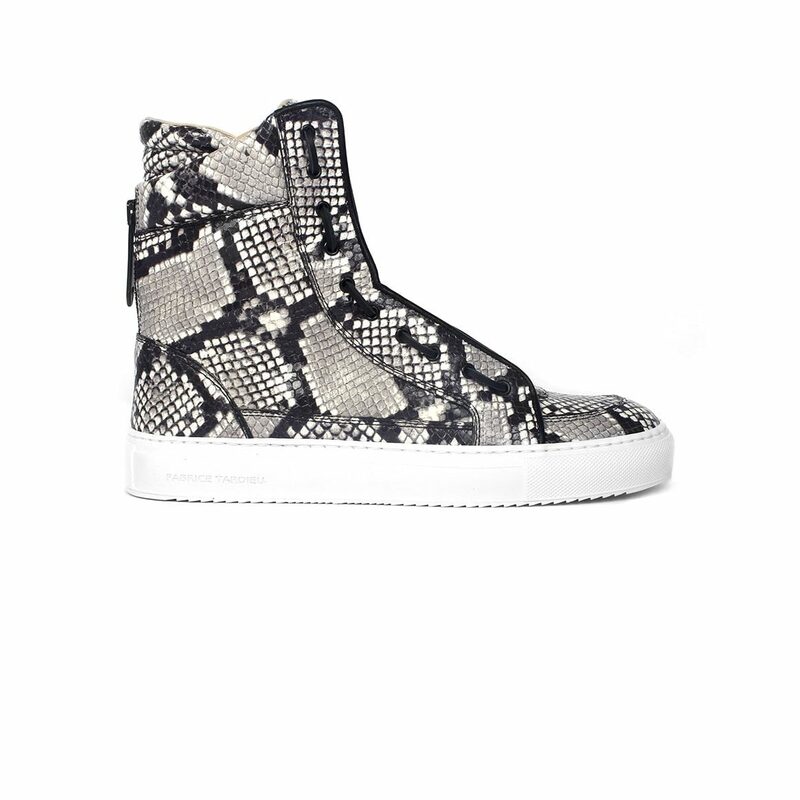 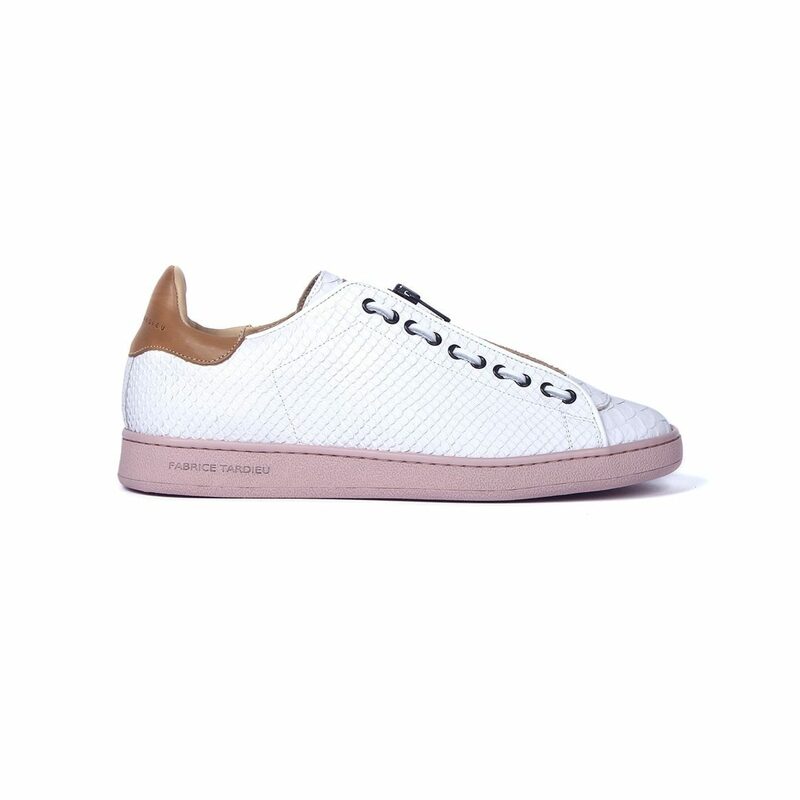 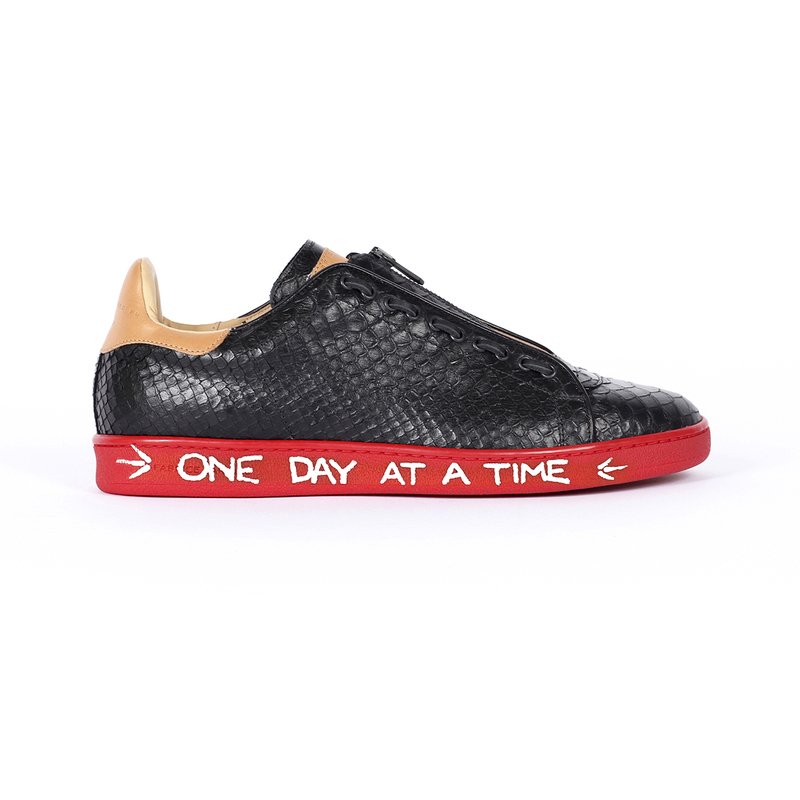 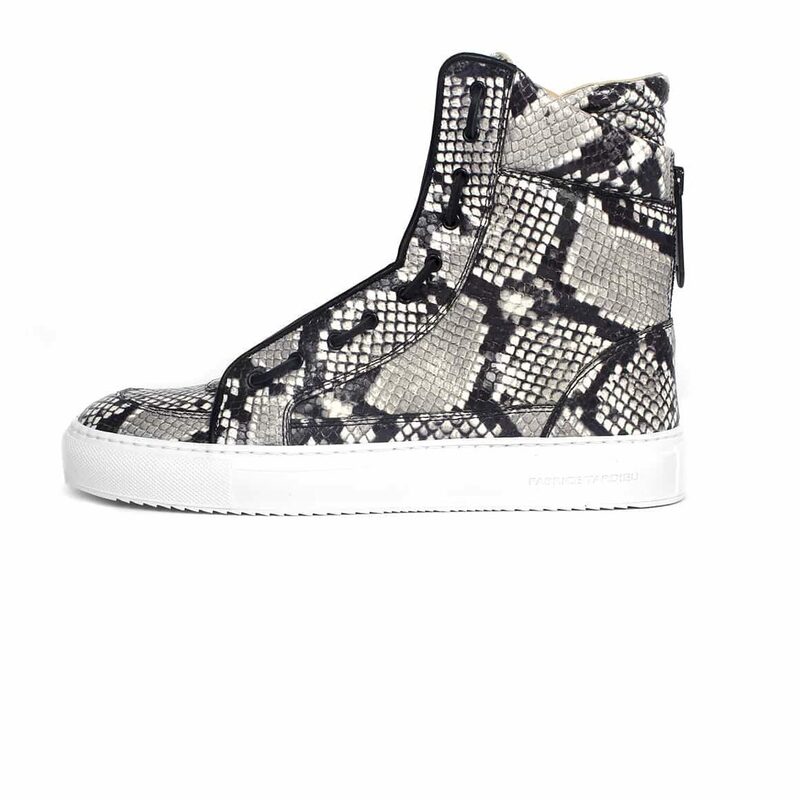 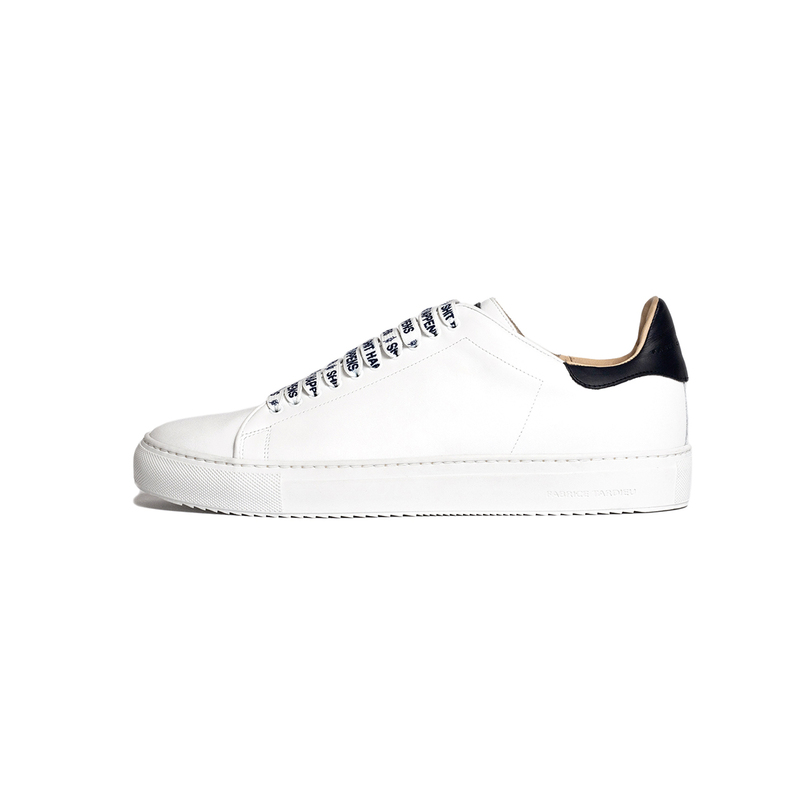 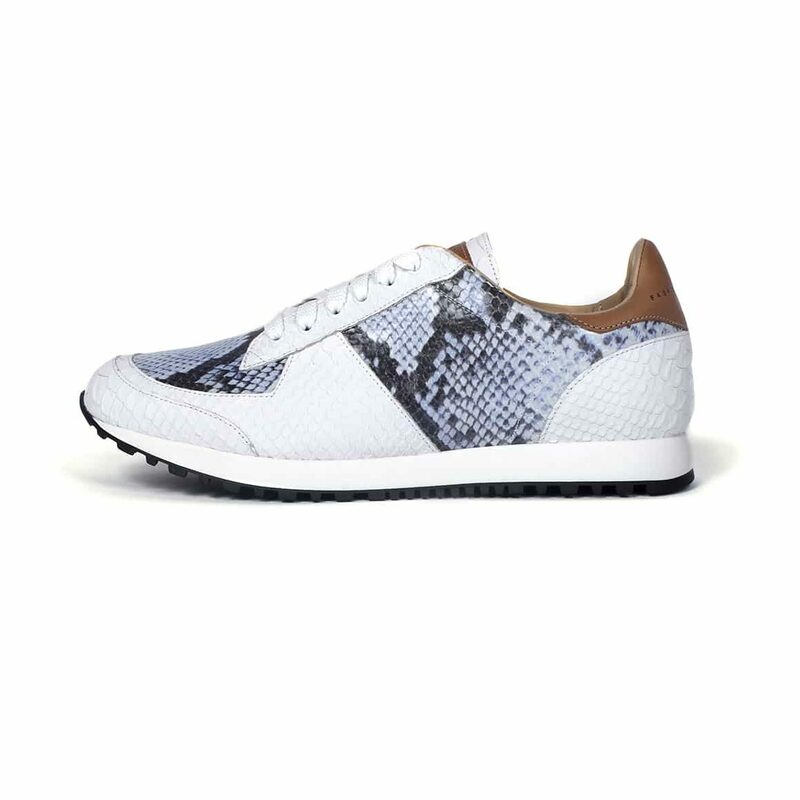 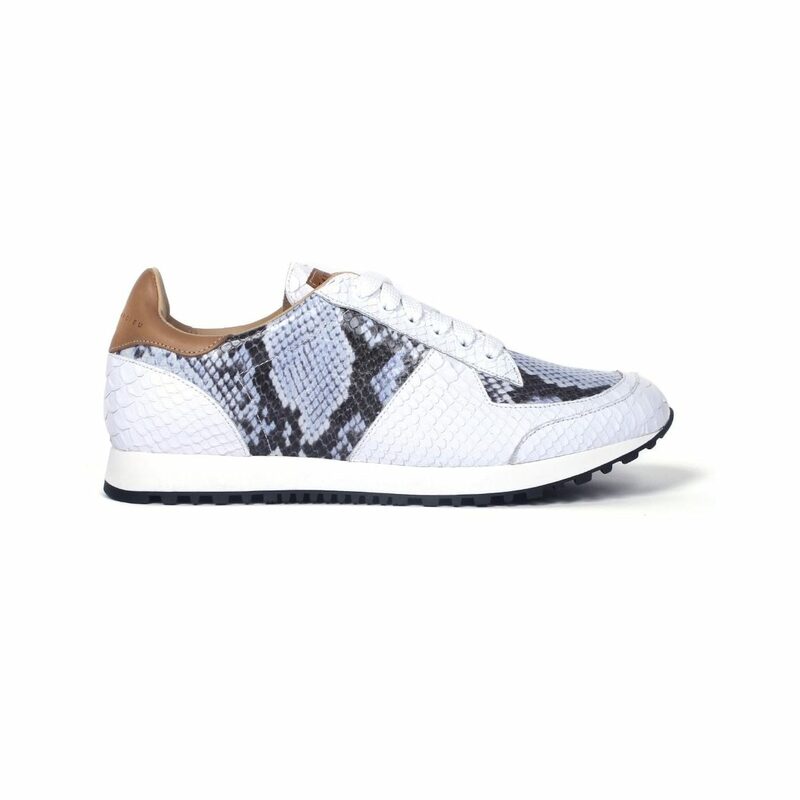 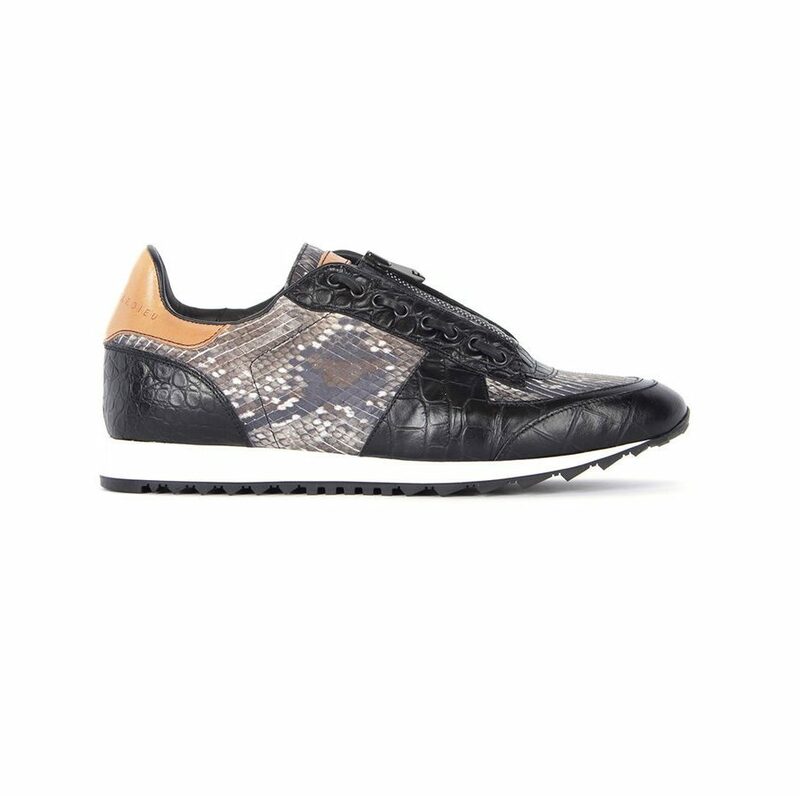 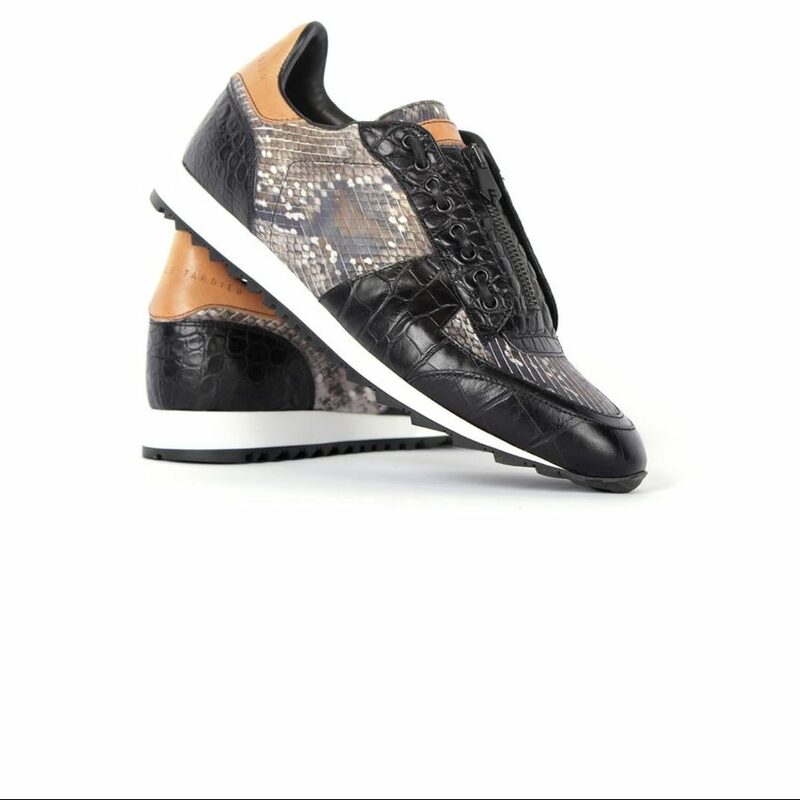 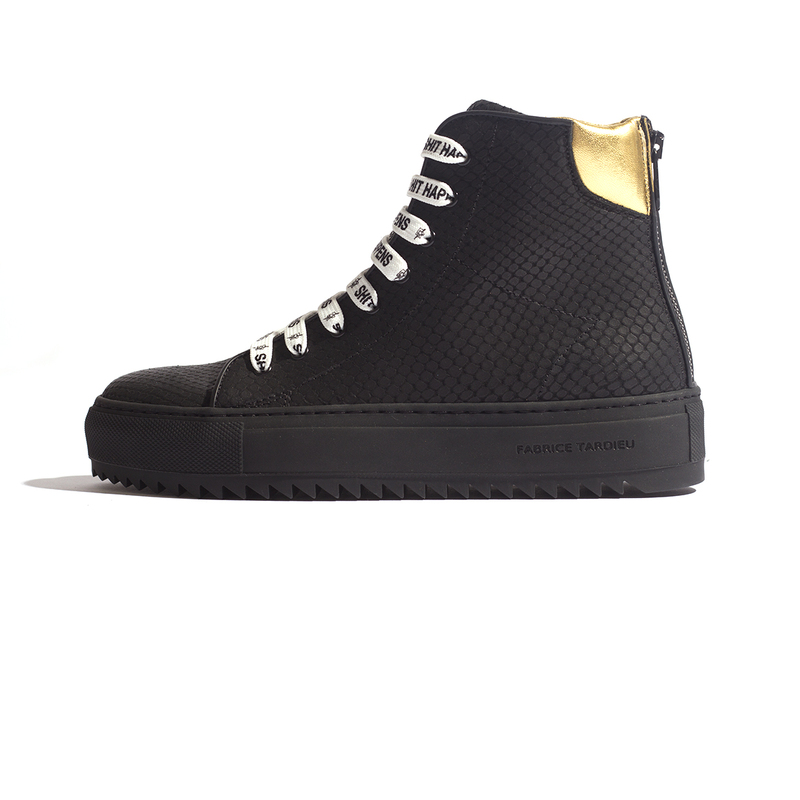 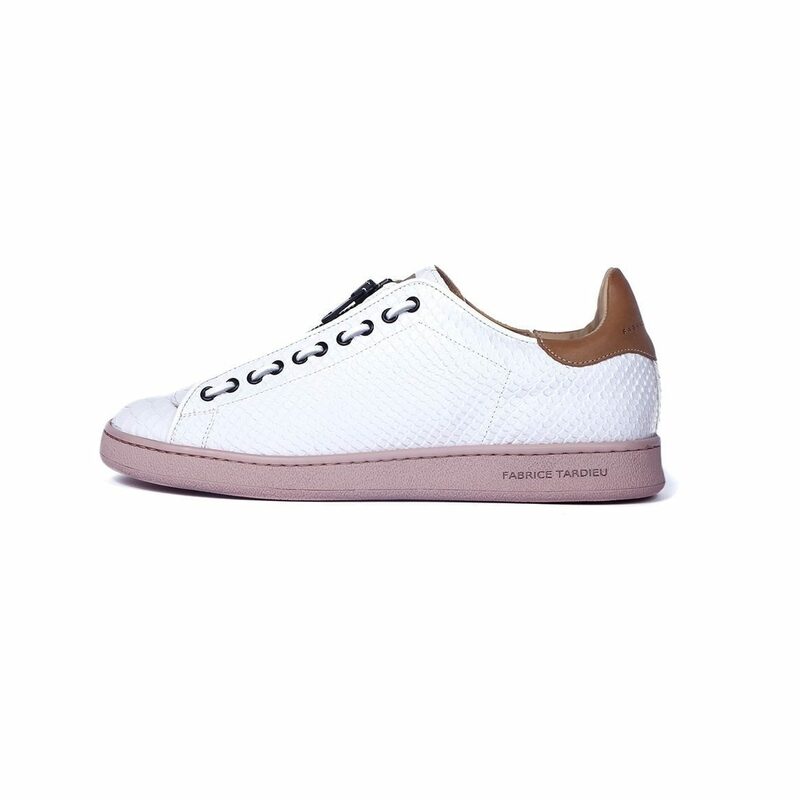 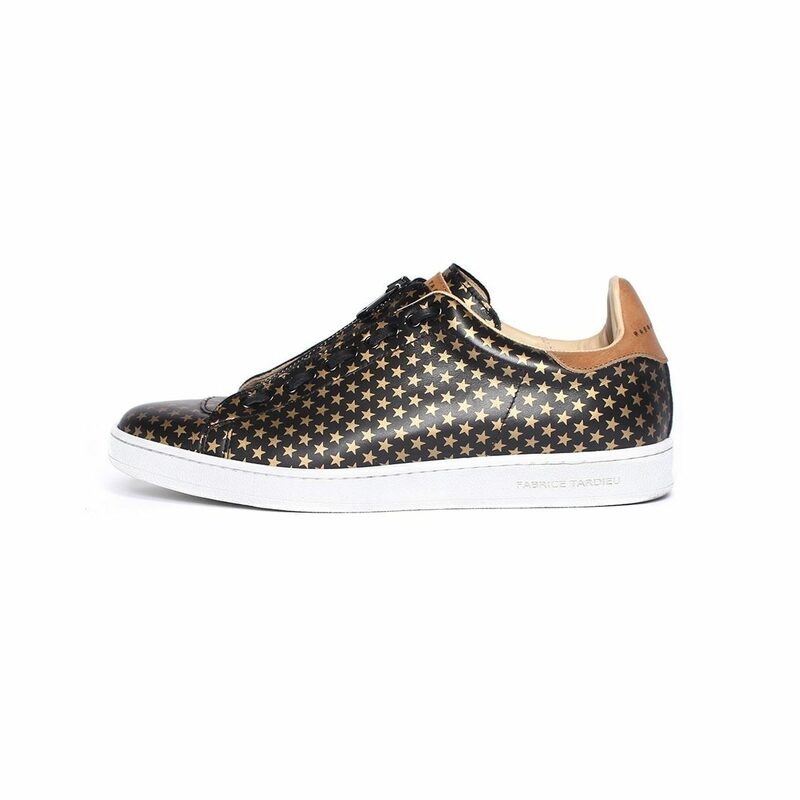 The Python-"inspired", patterned leather is hand-cut meticulously into the fabric of the shoes, giving a luxury yet laid-back vibe that works with any look or style. 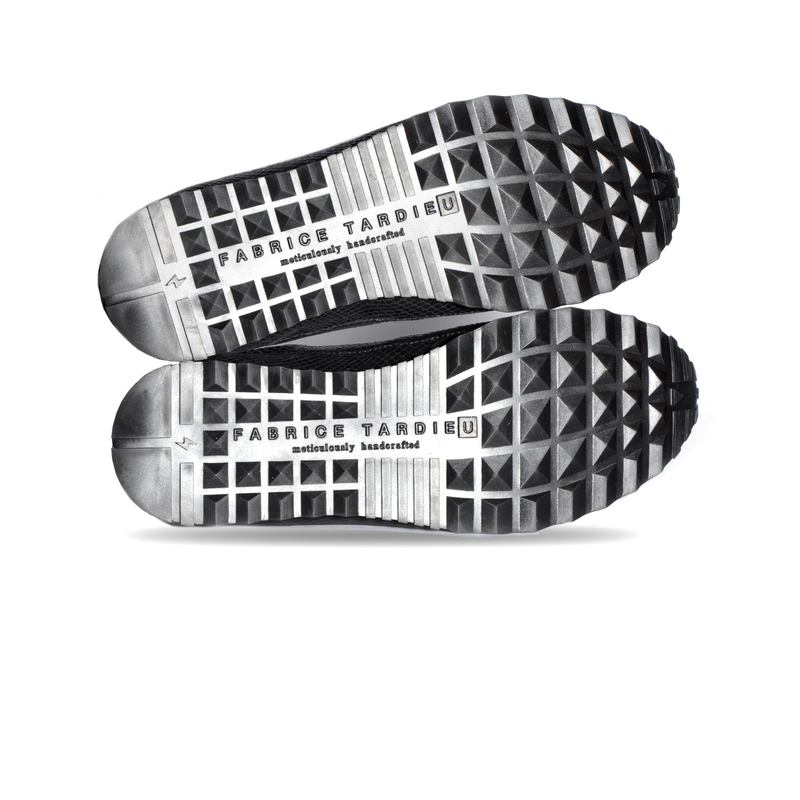 Mounted on our custom Fabrice Tardieu signature runner soles that incorporate a lightning detail ⚡– even the bottom of the soles are meant to be seen.